In blender, place dressing ingredients. Cover; blend on high speed about 15 seconds or until smooth. 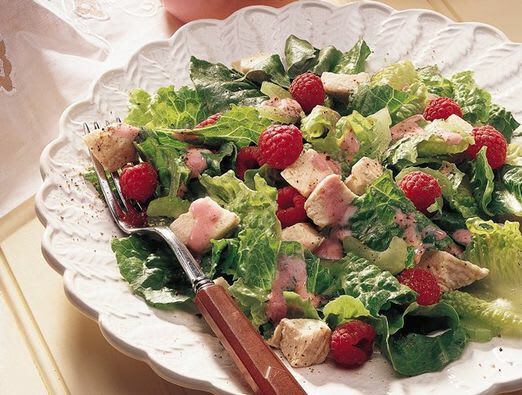 In large bowl, toss salad greens, chicken, celery and 1 cup raspberries. Serve with dressing and pepper. Romaine lettuce supplies the mineral chromium, which helps with carbohydrate metabolism. Preliminary research suggests that people with diabetes may need a bit more chromium than others do.